The Frenchman became the second rider in history to take the Tour de France polka dot jersey and the Spanish race in the same season. 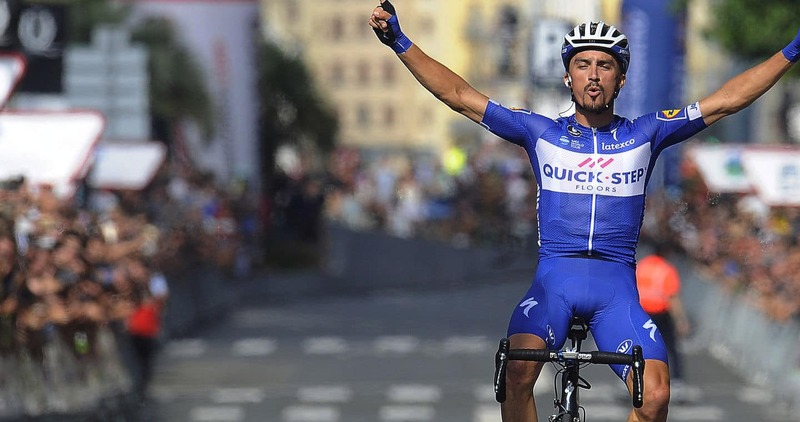 Julian Alaphilippe’s hot summer continued at the 38th edition of Clasica San Sebastian, where the Quick-Step Floors Frenchman took his eighth win of the year, one which can easily go down as one of the finest a rider has had this century. Fresh off his strong performance at the Tour de France, where he conquered two mountain stages and the KOM classification, Julian was one of the top favourites at Spain’s only World Tour one-day event and he played it perfectly at the sharp end of the 229km race, whose fight for victory was once again shaped by the brutal Murgil Tortorra climb. The steep 1800m-long hill, which made its first appearance on the course two years ago, awaited the riders with its insane 11.3% average gradient, where the race exploded and the peloton got blown to pieces, as more and more riders began to struggle and lose contact. First moves came more than a kilometer from the top of the ascent, but didn’t prove to be decisive, only consequence being that they stirred things up and opened the road for other men to attack. Alaphilippe unleashed a powerful acceleration with 500 meters left as the gradient stiffened even more and escaped together with Bauke Mollema (Trek-Segafredo), opening a 20-second gap over the top of the climb, which they extended on the technical descent despite the chasing group being a numerous one. In the two-up sprint on San Sebastian’s famous Boulevard, Julian remained cool as a cucumber despite leading out and used his strong kick to get the better of the Dutchman and take the victory after six hours in the saddle. “I knew that the race suited my characteristics, but I honestly didn’t expect to win today. I didn’t feel very good, as I was tired after a long and hard Tour de France, but stayed focused in the final and made my effort at the right time, using the last climb as launch pad. I want to say a big thank you to my teammates, who protected and helped me throughout the day, believing in my chances. I am very happy after this win, because San Sebastian is a special race which I like a lot and it means a lot to conclude this part of the season with another beautiful victory”, said Julian, who went up to third in the World Tour individual classification, while helping Quick-Step Floors increase its lead in the team standings. 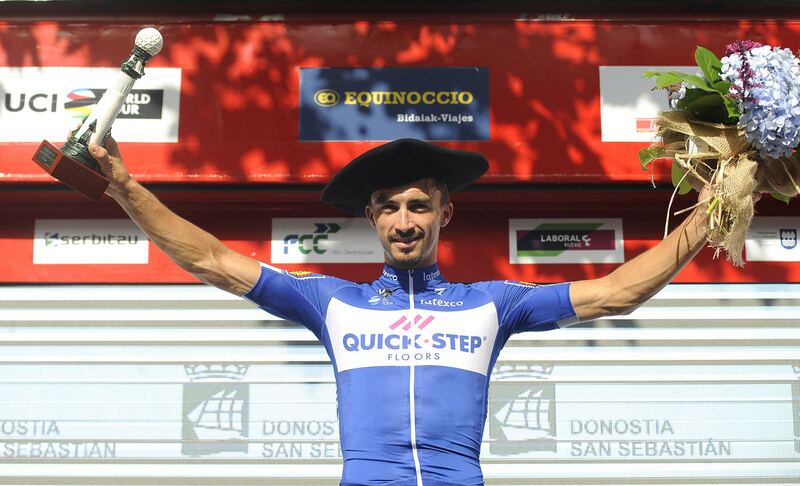 Saturday’s victory cemented Julian Alaphilippe’s status as one of the season’s top riders, having built a stunning palmares in the past four months, one that includes Flèche Wallonne, two stages apiece at Vuelta al Pais Vasco and the Tour de France, the KOM jersey, and now Clasica San Sebastian, which came just before a well-deserved rest for the 26-year-old.